Refinish at a fraction of the cost of replacement. Looking for a fast and affordable way to transform the look and feel of your bathroom today? Any bathtub made of fiberglass, porcelain, steel or cultured marble is a candidate for resurfacing. We fix holes in tubs daily, and there isn't anything we can't fix! 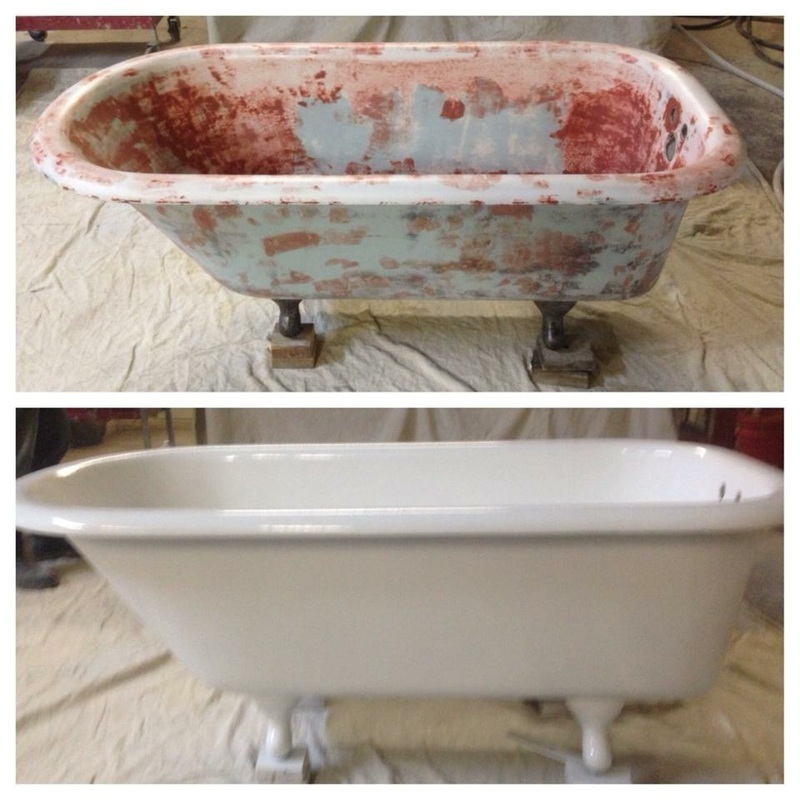 Let us refinish your claw foot tub - it generally takes less than 1 day, and you can choose the color! It's what we do -- we breathe new life into bathrooms and kitchens. Our refinishing solutions give your bathroom that fresh, clean look and feel you have been dreaming of. 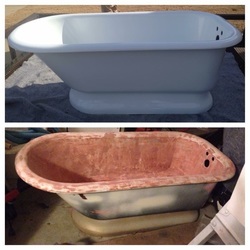 We resurface bath tubs using the safest, most up-to-date techniques around. Don't wait to have the bathroom you love. Call today! 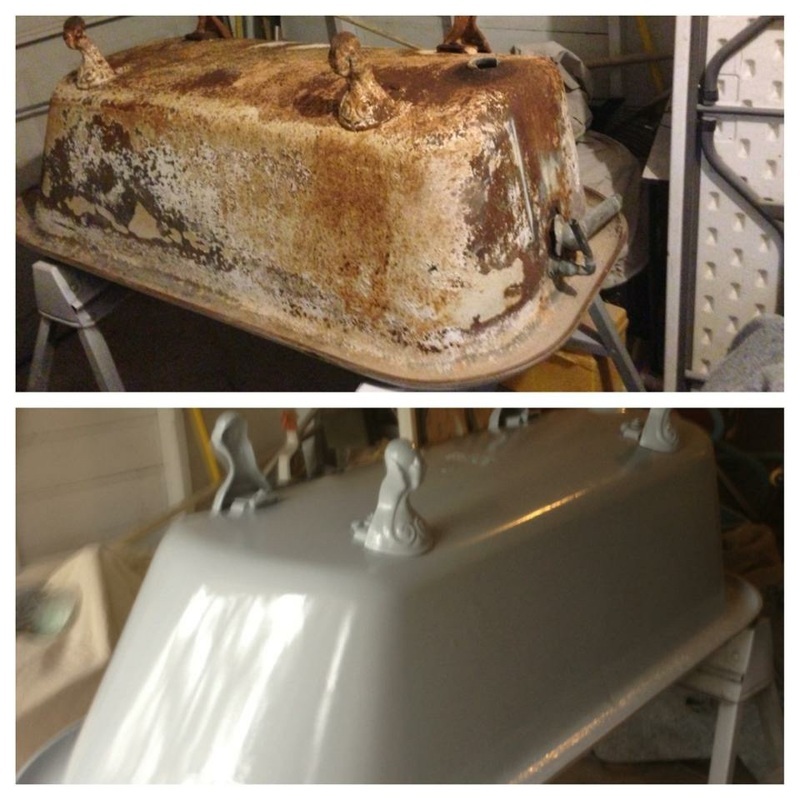 Your vintage claw foot tub can be brought back to a clean crisp white, or it’s original color. Choose a new color if you want! Let us transform the look of your bathroom. 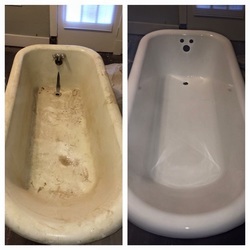 We clean up our mess, and you can use (and show off) your tub the next day! Resurfacing is so much cheaper than replacing -and- your bathroom is not 'out of order' for weeks. We finish in 1 day!